You’ll also be issued with your own personal membership card for use at the venue to claim your exclusive discounts. Please visit the following link to purchase your package today and receive the benefits as soon as you’ve purchased! Want to grow your business? Advertise with Melton Theatre Theatre and reach over 25,000 visitors per year! We are a rapidly growing business with a customer demographic consisting of mainly LE postcodes, with a particular focus on LE13 & LE14 postcode areas. We print 6000 copies of our What’s On Guide and these are distributed around Leicestershire, with a direct mail to our customer database as well. To find out more please contact us on 01664 851111 or by email on advertising@meltontheatre.co.uk ! Melton Theatre has a proud history of working in partnership with Brooksby Melton College to develop the next generation of talent for our industry. 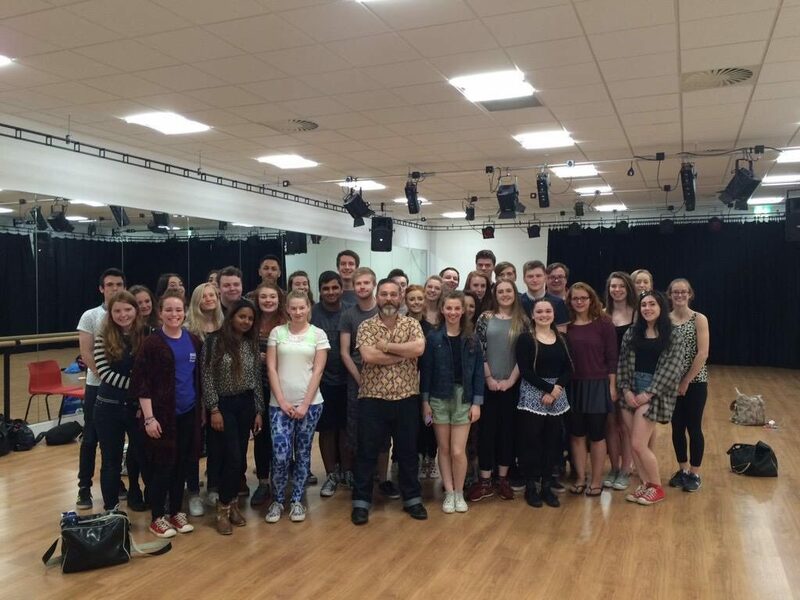 We’re pleased to work with our previous alumni Andy Nyman in his role as Melton Theatre patron. Andy has worked in the industry since leaving Melton College of Further Education winning Olivier Award recognitions and is now the co-writer, director and creator of Derren Brown’s live work. You can read up on Andy’s full list of professional work at the following link. Job Purpose: To steward shows and assist with the sale of programmes, merchandise and ice creams during performance times, delivering high standards of customer service and ensuring an accessible, safe environment for our customers. Stewards work in the auditoria and foyers to receive, support and inform customers. Melton Theatre is an unfunded organisation that is in the very fortunate position of having several enthusiastic teams of volunteer Front of House staff with experience of over 35 years in theatre. Our volunteer teams serve us in the most vital of roles in the theatre, greeting our patrons and ensuring they are pleased with their visit to Melton Theatre. Of course, you also get the added benefit of being able to see some great shows from our programme of events! This is a great way of gaining experience in a theatre environment and a full reference will be provided for any future employment. It also provides a valuable opportunity to interact with your local community and our audience. Stewards are the first point of contact for visitors to Melton Theatre. Therefore you should be friendly, efficient and welcoming. You will answer any enquiries as well as dealing with problems as they arise. Stewards are also required to check all tickets and sell merchandise and ice creams. As part of the Front of House team stewards are responsible for visitor safety. Each shift you will check the venue that you are working in to ensure we adhere to all Health and Safety regulations and be confident in all evacuation procedures. Stewards report to the Front of House Manager and Reception Supervisor on every shift. The majority of the work is in the evenings and weekends, although we do also have shifts during the day. There are often matinee performances, and education events that need stewarding in addition to our artistic program. Please note that you may occasionally be asked to stand for part/all of a performance/shift depending on the needs of a particular show. Stewards must be smart and identifiable at all times. We ask that you provide your own smart black trousers (no jeans) or black skirt and black shoes (no trainers) and a smart top. Melton Theatre will provide you with a FoH Badge which you must wear each time you work. There are 4 Front of House Managers. You will be allocated to one. They will contact you with available shifts and you will confirm which shifts you are able to help with. We ask that you work at least three times a term, although you are more than welcome to work more regularly. If you have signed up for a shift and cannot work for any reason it is your responsibility to let the FoH Manager know with time to source a replacement. Volunteers will also be given 15mins pre-training initially and shadow a current volunteer. We brief stewards each time they work a shift and the majority of training will be on the job. Further training will be offered to anyone who is a successful applicant and more details will be given in the initial training. To deliver excellent customer service at all times. To ensure that all audiences are led safely out of the building during an evacuation. To ensure licensing rules are enforced, including making all relevant safety checks of gangways and fire exits and to carry out evacuation procedures when required. To check tickets and direct customers to their seats. To show latecomers to their seats. To sell programs, merchandise and ice cream. To ensure all FOH areas are tidy. To assist with access related issues, general customer queries and provide information required about our performances. To tidy up the auditoria after shows and check for any lost property. To have Sales and/or cash handling experience. If you require any further information please contact the Theatre Co-ordinator at volunteers@meltontheatre.co.uk or on 01664 851111. Thank you for the interest you have shown in working at Melton Theatre. If that sounds good, then we’d love to sign you up! Please use the sign up form on the site or create an account.